(Elizabethtown, Ky.--March 16, 2017) The Historic State Theater and the City of Elizabethtown has partnered to bring Delbert McClinton to the Historic State Theater August 19th sponsored by Fort Knox Federal Credit Union. "As the primary concert series sponsor, Fort Knox Federal is delighted to help bring such outstanding national performers to our community," said President and CEO of Fort Knox Federal Credit Union Ray Springsteen. Tickets are scheduled to go on sale online Friday, March 31st at 10:00 a.m. VIP tickets will include a meet and greet and first two rows in seating for $60 each. Reserved floor seats will be $40 each, and balcony seats are $20 each. 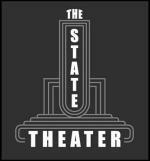 To purchase tickets, go to www.historicstatetheater.org or visit during business hours at 209 West Dixie Avenue, Elizabethtown. Multi-Grammy Award winner Delbert McClinton is “One of the Fortunate Few,” who has managed to live his dreams for more than six decades. The stars have aligned for Delbert. Those stars may have leaned toward the blues, but Delbert has managed to keep them on the bright side. He was born four years after Buddy Holly in the musically fertile grounds of Lubbock, Texas. He cut his teeth on Bob Wills and his Texas Playboys at Lubbock’s legendary Cotton Club. When he was 12, Delbert’s family moved to Fort Worth so his father could work on the Rock Island Railroad. As a teenager, Delbert had a backstage and front row seat to learn from the masters as his teenage band grew into the house band at Fort Worth’s Jack&apos;s Place on the Jacksboro Highway, backing blues legends like Jimmy Reed, Howlin’ Wolf, Freddie King, Albert Collins, and Gatemouth Brown. His reputation grew, and when he was 22, he traveled with Bruce Channel to England to tour in support of Channel’s hit “Hey Baby,” on which he played harmonica. Delbert and John Lennon spent time over a period of several days. The two 22-year old young musician/singers had a lot in common. Delbert returned to Texas and continued playing with legendary blues musicians, hitting the road when he could. During the 1960s, he married and had a son, Monty, before the marriage crashed. He continued playing in and around Fort Worth until he took up with a female friend who had just gotten divorced. She talked him into heading to Los Angeles. So McClinton moved to Los Angeles in the early 1970s to record with his songwriter partner, Glen Clark. The duo, under the name Delbert & Glen, released two albums with Atlantic Records. The relationship with the divorcee didn’t last long, but the day she left, he sat on the mattress in a dank rent house, and wrote a song about sweeping out a warehouse in West Los Angeles that became the first megahit for Emmylou Harris, “Two More Bottles of Wine.” And thus, began his series of “it’s all right” themes. Along the way, he met his forever wife, Wendy Goldstein, a news producer for NBC, who agreed to a date after he played Saturday Night Live. A whirlwind romance followed. (She admits that the network held a position for her for 18 months, just in case she changed her mind.) Nearly 30 years later, she is still on board. And thanks to Wendy, Delbert got straight with the IRS, and has celebrated the greatest successes of his career, including his third child, a daughter, Delaney. McClinton earned two more Grammys and topped the Billboard Blues chart with a series of albums in the 2000s, including Nothing Personal, Cost of Living and Acquired Taste. He teamed up with Clark again for his most recent release, Blind, Crippled and Crazy. Delbert McClinton has big plans up his sleeve. This is a big year for the multi-Grammy award winner and legendary musician. In November, Delbert turns 75. Live shows have been his focus and bread-and-butter throughout his career. He will be kicking off the yearlong Diamond Jubilee tour with more rocking energy than ever before. And it’s time. Last year was a turning point. 2014 was a rough year. In March, his son, Austin musician Clay McClinton, was in a car accident and suffered a head injury. Delbert and Wendy got the call in Nashville in the early morning hours from oldest son Monty, and flew to Austin to stay by Clay’s side in the hospital for several weeks. And now Delbert has taken to that open road, full speed ahead. He is playing in legendary, historic, and top venues from New York to California. He is planning his 22nd Annual Sandy Beaches Caribbean Cruise in January of 2016. He’s working on a new album, and plans to have it ready to go in time for the Diamond Jubilee Celebration. He has one of the hottest bands he has ever toured with. And he is writing like never before. So what keeps the energy in more than 60 years of music? His incredible musical versatility has been a blessing and a curse. He has managed to stay ahead of the curve – rather than just riding the wave of musical popularity. He has paddled out and caught the wave as it is forming as an innovator in American music.